Sponsor Love: Haute Naked Sweepstakes! Last month I introduced you to my sponsor Haute Naked and I'm excited to share with you some great promos they have going on right now! 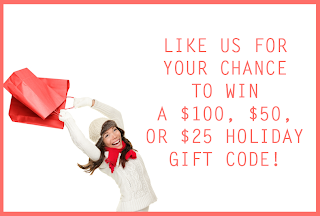 Haute Naked is hosting a huge Holiday Giveaway Sweepstakes! They're giving away MAJOR beauty swag! Be one of four winners to win either $100, $50, or $25 Gift Code to use at www.hautenaked.com! They're also giving away free samples to all entrants (while supplies last). PLUS, a 20% off discount code for your entire purchase! Sweepstakes starts November 5, 2012 and ends December 7, 2012. JUST in time for last minute Christmas shopping or to give a special something to yourself! Our irresistible handmade Body Butter is whipped to make it light and less greasy AND it is made with Mango Butter! Mango Butter has natural emollient properties and regenerative activity. Mango Butter has been traditionally used in the Rainforests and tropics for its skin softening, soothing, moisturizing and protective properties. Our whipped body butter is also made with 99% natural ingredients. You will LOVE our Whipped Body Butter made with mango butter once you try it on your skin! Our AMAZING marshmallow bath bombs will leave your skin so soft, you will beg for more... We used 100% natural ingredients to provide you with the best quality bath bombs for your skin and flavorful scents that will make you wish it was a real dessert. Remember: Haute Naked uses natural ingredients in all their bath and beauty products. They also donate 10% of sales from certain products to Kiva: a organization that helps empower people in less-developed countries to alleviate poverty by providing microfinancing to fulfill their entrepreneurial passion. Now you can shop and give back at the same time!